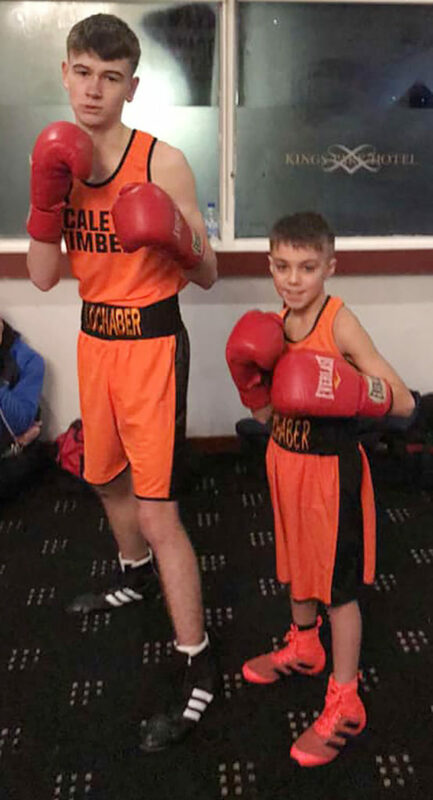 Lochaber Phoenix Boxing Club enjoyed a successful start to 2019 as two of the club’s brightest talents put in strong performances at a show in Rutherglen last Friday, hosted by Duries Boxing Club. Ten-year-old Josh Hunter made his competitive debut against the very talented William MacIntyre of Argo Boxing Club in Drumchapel. 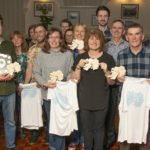 hunter’s task was made harder by the fact that MacIntyre normally competes in an older age group than the Lochaber youngster. At the opening bell both boxers looked to vie for openings, incorporating feints to both head and body. What become apparent at an early stage was the outstanding quality of boxing from the two boxers, both still very inexperienced. The quality remained high throughout the contest and the round ended with little to choose between the two as both claimed victory in the round. Hunter started the second round with renewed vigour, forcing MacIntyre onto the back foot with double phases and clearly winning the round with eye-catching punches. The last round had Hunter in full flow as he pressed his advantage from the previous round, switching his attacks from head to body through the middle of his opponent’s guard. This strong finish to the match secured the victory for Hunter, with all five judges voting in his favour. Next month Hunter makes his first foray into championship action when he boxes in the Northern District Championships in Aberdeen. Fifteen-year-old Jack Dieguno was scheduled to have his debut competitive bout also but his opponent fell victim to a freak injury barely two hours before the contest. After some last minute hectic arrangements Dieguno did make his bow in the ring in an exhibition against Scottish champion Harley Boal from Cambusnethen Boxing Club. Being an exhibition match, this bout was not fought at the frenetic pace of a standard contest but instead both boxers moved through their individual skill set with Dieguno showing incredible composure for someone so inexperienced. Dieguno commanded the centre of the ring, attempting to control the distance of the exchanges behind his lead hand and being careful not to over-commit with his attacks thus leaving himself open for counters. It was an assured performance from Dieguno, considering his lack of competitive experience. He now also enters the Northern District Novice Championships next month.